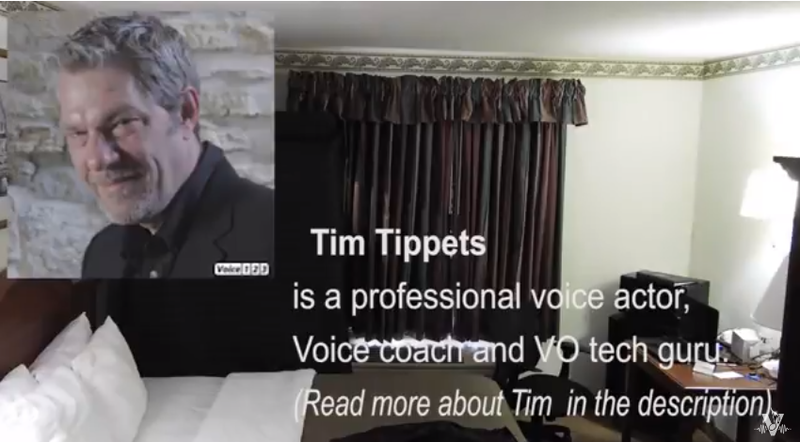 In this video we show some of acoustical Vocal booth ( AVB33) review by Tim Tippets, VO tech Guru and Voice over coach . AVB33 is an Acoustical vocal booth, that can be easily carried around in your car, or even can be shipped to your hotel room anywhere in the USA or Europe, if you need to work on the road. Sets up in under 10 minutes. Acoustic Vocal booth from VocalBoothToGo.com provides great acoustic environment and you can comfortably sit in there, or stand, with all of your recording gear. ★★★★★ Tim is a rockstar and can’t wait to work with him again. He goes above and beyond and his turn around time is unmatched. Great communication from the start as well. Originally designed for Voice Over actors, as vocal booth for home recording, AVB33 is a perfect solution for singers and musicians, especially if they are on a tour or travelling. AVB33 is the smallest size in the series.. We also have AVB63 for two artists and AVB66, that can fit a small band or a drum set. AVB series vocal booths allow you to make recording at home and give your audio engineer clean files for mixing. Vocal Booths from http://www.VocalBoothToGo.com/ save you time and money every time you use it. See also review of a portable vocal booth – VOMO, which is a smaller booth, but also gives you great advantage to be able to record voice over or vocals anywhere you go. Portable vocal booth Video review: Voice Over Mobile Booth – VOMO!